Today the topic for our Advent Calendar was Angels. 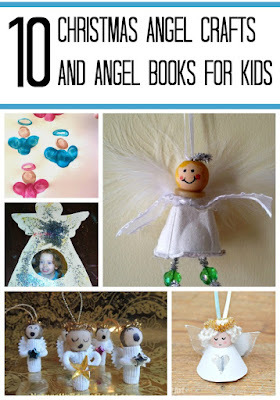 I will share books and crafts that are perfect for Christmas preschool theme day with a theme of angels. This post was updated in November 2015 with new graphics and links. Disclosure: I am an Amazon associate, and this post contains Amazon affiliate links. For full disclosure, please click here and thank you for supporting my blog! Even though my daughter is only 3, she is perfectly able to sit through longer books as long as the story is engaging enough. She enjoyed these books about angels this season. Country Angel Christmas by Tomie de Paola is a story about Christmas celebration in Heaven. I was curious what Smarty would think of this setup, since we are not religious and do not believe in heaven. However, apparently Heaven to our three year old is about the same as the “Galaxy far far away” and angels belong to the same category as fairies. She was really surprised, however, to find Saint Nicholas in the book who suddenly dons Santa clothes and flies to Earth to deliver presents to children. She calls Santa St Nicholas since reading this book and she definitely understands the plight of three littlest angels who are shooed away from meaningful activity because older angels don’t want to deal with inevitable mess. In the end, of course, the little angels end up being the true heroes of Christmas. Angel Pig and the Hidden Christmas by Jan Waldron is a fun book that Smarty enjoyed a lot. It’s a poem about a pig family that is not exactly prepared for Christmas and is hoping to buy it at the last moment. Angel Pig (Smarty kept asking why he is wearing this funny costume and how come he can fly) sets them straight and helps them throw a homemade Christmas. This book lends itself well to many crafts for homemade holidays. In fact, I think it should be “a required reading” for families wanting to have a recycled and homemade Christmas. I knew picking up Bright Christmas by Andrew Clements that it will be over Smarty’s head, but I found both the story and the illustrations very interesting. The story is written from Angel’s point of view, and somehow one can almost believe it. I liked the somewhat detached narration and the feeling of timelessness behind the story. I also enjoyed the linkage to the events in the Old Testament and amazing illustrations by Kate Kiesler. I was touched by the message of hope and joy in the book – it’s definitely a great book to read in religious homes. Do you have a favorite book about angels? She looks so proud of her angel as she hangs it on the tree! How cute that she wants to hang her art work on the Christmas tree, that is special! I hope you are continuing to enjoy your staycation! Anna looks so determined....love it! I love the picture of Anna with her angel! 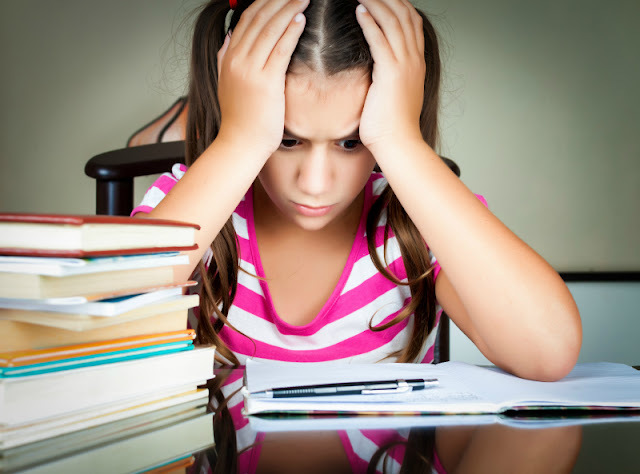 I haven't read many of DePaolo's books and have been wanting to do these author challenges too. i love de paola and can't wait to get to the library in the States to read more with Bear! We hung two wires in the hallway and clip Bear's art to it with clothespins she painted and decorated. It did turn out beautifully, you'd probably love his Strega Nona books. My son is currently enjoying Tomie de Paola's "My First Christmas." It's definitely great for toddlers, but I'm interested in checking out the book you mentioned that has more complicated text. 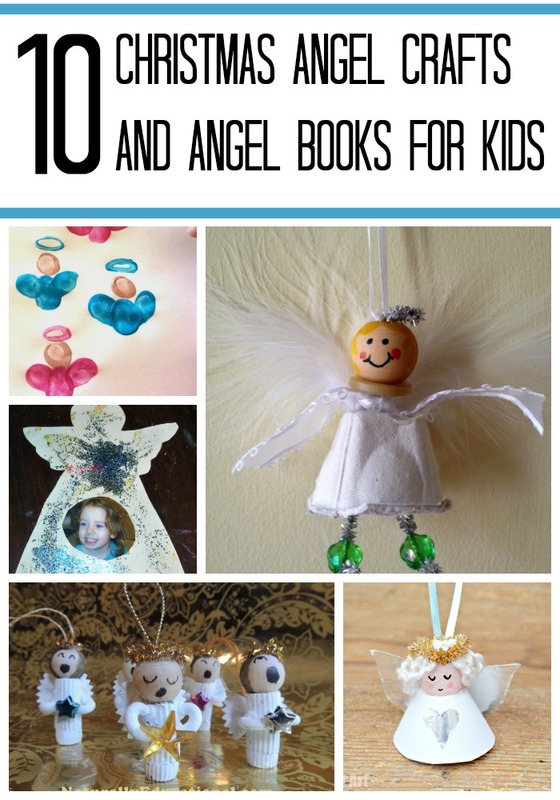 Your angel project turned out great!